When the Trump Administration pulled out of the Paris Climate Agreement, they not only rolled back efforts to meet U.S. domestic greenhouse gas emissions reduction targets, they also abandoned America’s pledge to the Green Climate Fund (GCF). The GCF was developed to help developing countries adapt to climate change and pursue low-carbon and climate-resilient development. Trump’s broken promise means that there is a $2 billion gap that limits the important work of the GCF and leaves those most vulnerable to climate change without promised support. Funding for developing countries who did the least to cause climate change and who are most impacted is a central tenant of global climate justice and was a key element of the Paris Climate Agreements. As the richest country and largest carbon polluter in history, America has a particularly strong moral responsibility to support the most vulnerable populations as they adapt to climate change and pursue resilient low-carbon development. In response, last summer 350 Seattle worked together with Seattle City Council to pass a resolution committing Seattle to doing our part to fulfill the goals of the Paris Climate Agreement, including recognizing our responsibility to help fill the funding gap created by the Trump Administration. Following from our resolution, 350 Seattle is working with elected officials and other climate justice organizations to identify like-minded jurisdictions and sub-national actors across the country to work together with Seattle and contribute to international climate finance. We are calling on other individuals, companies, cities, counties, and states to join in contributing to international climate finance for developing countries. 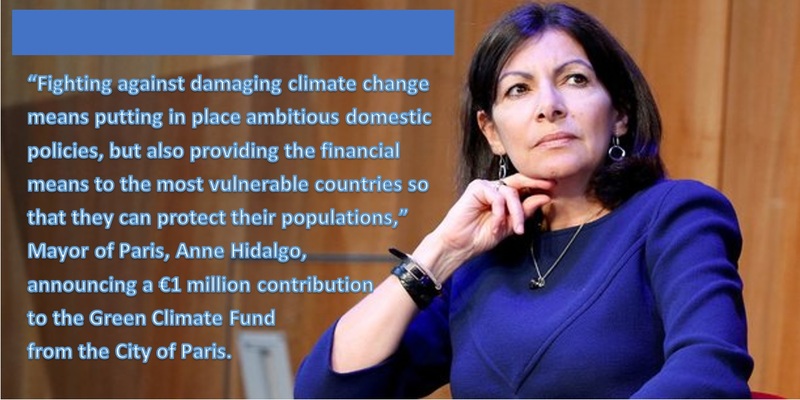 Such contributions would provide much needed funding for developing countries and serve as an important symbol demonstrating to the rest of the world that the United States is a responsible actor on climate justice, despite the actions of the President. For the sake of the climate justice and those most impacted, it’s time to act on international climate finance. For more information see our brief memo, or for a more in-depth exploration of the issue, you can read our report to Seattle City Council. Organizations can endorse our call here. If you are interested in getting involved or finding out more, contact: Alex Lenferna.